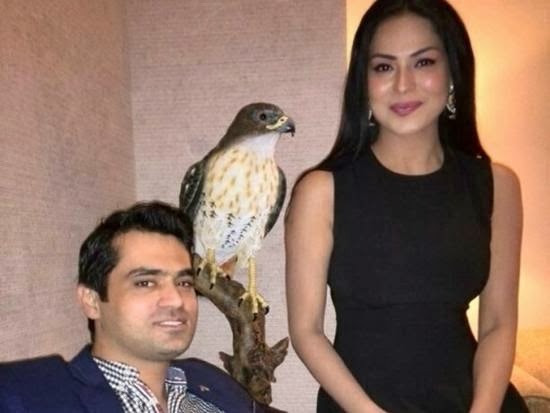 Veena Malik, a Pakistani actress mostly known for her controversial news, has reportedly got married with a businessman Asad Bashir Khan Khattak in Dubai. Asad Bashir Khan is reportedly the son of a friend of Veena Malik’s father and does different types of business in Dubai and the USA. He belongs to Kohat. The 29-year-old actress got married with Asad in a Dubai court. Find here photos of Veena Malik and Asad Bashir Khan Khatak on Nikah and Wedding ceremony. Nikah Ceremony was took place simply in a court of Dubai. According to Geo New and Express News Channels' reports, marriage has been took place as per Islamic way. 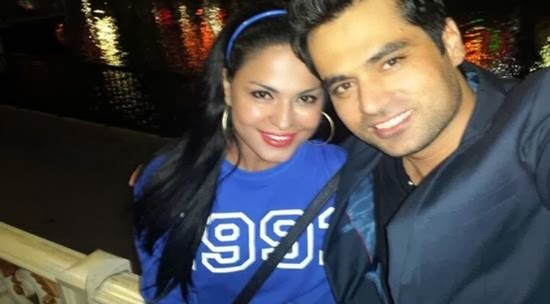 While ARY News reported that drama queen Veena Malik got engaged with Asad Bashir and will marry soon. Parents of Veena Malik are also present in Dubai from last many days. Following is the video of Veena Malik and her husband Asad Bashir Khan talking to Geo News TV. Fathers of both also talk to media at this event. Following are some photos of the couple.